Lane Bryant Additional 50% Off Clearance PLUS TONS MORE! 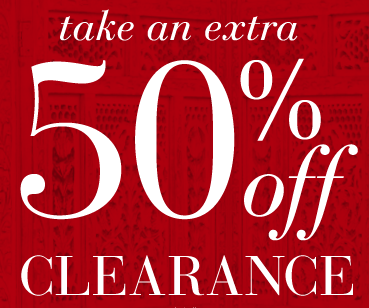 You are here: Home / Great Deals / Lane Bryant Additional 50% Off Clearance PLUS TONS MORE! You can still get 50% off clearance items Just use code: FUN2SHOPLB at checkout! You can get 30% off new arrivals, too! Just use code: JULYNEWLB at checkout! Online and select stores only. Select styles. FREE bras must be of equal or lesser value. Individual items priced as marked. Savings are not redeemable for cash and may not be applied to previous purchases, returns, exchanges or credit card payments. Not available in closing stores. Valid online through 11:59 pm PT on 7/20/14. Valid in select stores through closing on 7/20/14. Associates of Lane Bryant and other Ascena-owned companies not eligible. Online and select stores only. Select styles. Sale price applies to multiples of five only. Individual items priced as marked. Savings are not redeemable for cash and may not be applied to previous purchases, returns, exchanges or credit card payments. Not available in closing stores. Valid online through 11:59 pm PT on 7/20/14. Valid in select stores through closing on 7/20/14. Associates of Lane Bryant and other Ascena-owned companies not eligible. Select in-stock styles. Cannot be combined with any other coupons or discounts including Flash Sales, one day sales or other storewide events. Savings are not redeemable for cash and may not be applied to previous purchases, returns, exchanges or credit card payments. Not available in closing stores. Limited time offer. Associates of Lane Bryant and other Ascena-owned companies not eligible. Select in-stock styles. Cannot be combined with any other coupons or discounts including Flash Sales, one day sales or other sitewide events. Savings are not redeemable for cash and may not be applied to previous purchases, returns, exchanges or credit card payments. Not available in closing stores. Limited time offer. Associates of Lane Bryant and other Ascena-owned companies not eligible. Available online and in select stores. Not available in Outlets. Applies to in-stock items while they last. Cannot be combined with any other coupons or discounts including Flash Sales, one day sales or other storewide events. Savings are not redeemable for cash and may not be applied to previous purchases, returns, exchanges or credit card payments. Limited time offer. Associates of Lane Bryant and other Ascena-owned companies not eligible. Select in-stock styles only. Cannot be combined with any other coupons or discounts including Flash Sales, Style Fix, one day sales or other storewide/sitewide events. Savings are not redeemable for cash and may not be applied to previous purchases, returns, exchanges or credit card payments. Not available in closing stores. Limited time offer. Associates of Lane Bryant and other Ascena-owned companies not eligible. Online and select stores only. Select styles. Savings are not redeemable for cash and may not be applied to previous purchases, returns, exchanges or credit card payments. Not available in closing stores. Valid online through 11:59 pm PT on 7/20/14. Valid in select stores through closing on 7/20/14. Associates of Lane Bryant and other Ascena-owned companies not eligible. Valid on in-stock Lane Collection styles only. Cannot be combined with any other coupons or discounts including Flash Sales, one day sales or other sitewide events. Savings are not redeemable for cash and may not be applied to previous purchases, returns, exchanges or credit card payments. Valid online and in select stores only. Limited time offer. Associates of Lane Bryant and other Ascena-owned companies not eligible. Select in-stock styles. Cannot be combined with any other coupons or discounts including Flash Sales, one day sales or other sitewide events. Savings are not redeemable for cash and may not be applied to previous purchases, returns, exchanges or credit card payments. Available online and in select stores. Limited time offer. Associates of Lane Bryant and other Ascena-owned companies not eligible.